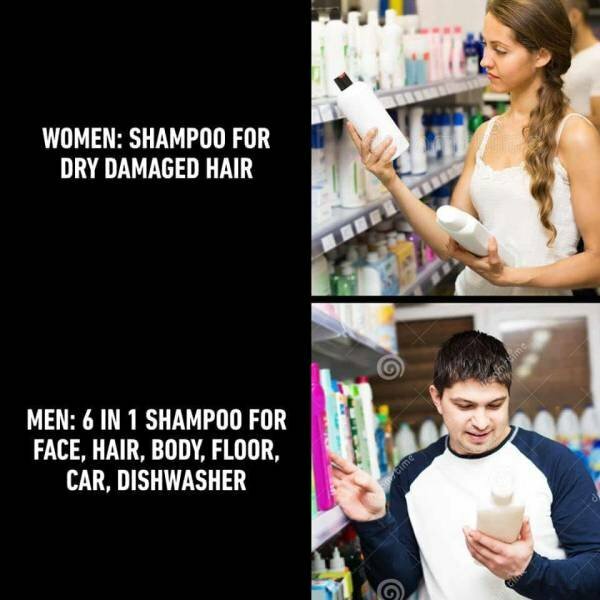 Shampoo for dry, damaged hair is best used for hand washing brassieres and hosiery when you have run out of Woolite and you don’t feel like going out and buying more. That right there, is a tip to remember! Bill Y, men should just go to the car wash each day and at least there they can do a good polish too. We do whatever it says on the tin, Don Don’s! What actually does the cleaning is the suds. That’s why you should wash your hair in beer. That way you get a good “head” start every morning. And you can clean your mug, too.